In an era when every game needs to be a roguelike or post-modern genre mash-up, it's nice to go back to a traditional 2D space shoot-em-up. As primitive as it is, there's something exhilarating about dodging hundreds of bullets and picking fights with massive alien creatures. 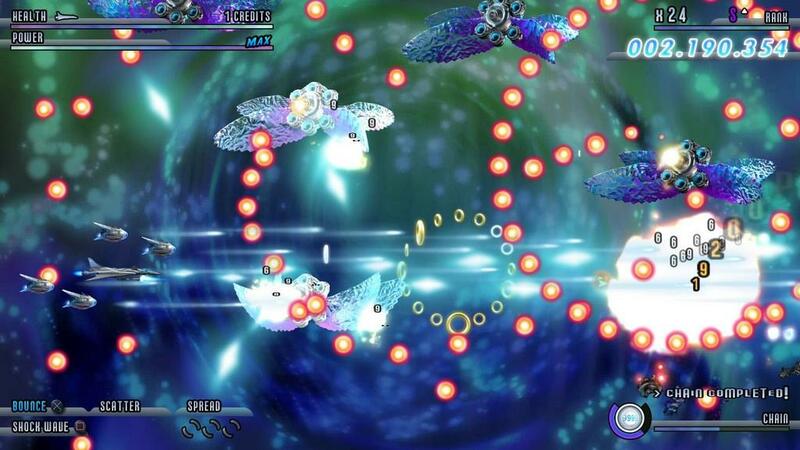 Soldner-X 2: Final Prototype perfectly embodies the spirit of the classic side-scrolling shooter, and even adds a few new mechanics to make it stand out. 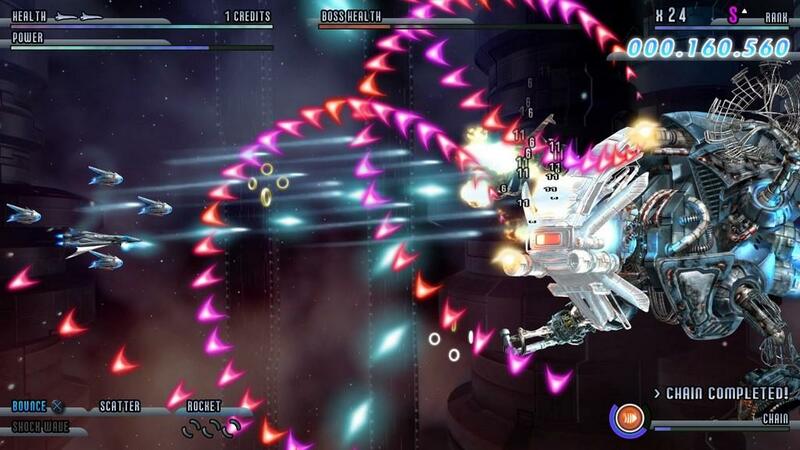 After bouncing from PC to PlayStation 3, Soldner-X 2 is finally making its debut on the PS Vita. This is a staggeringly fast shooter that sees players taking control of one of three ships and defeating the alien army. 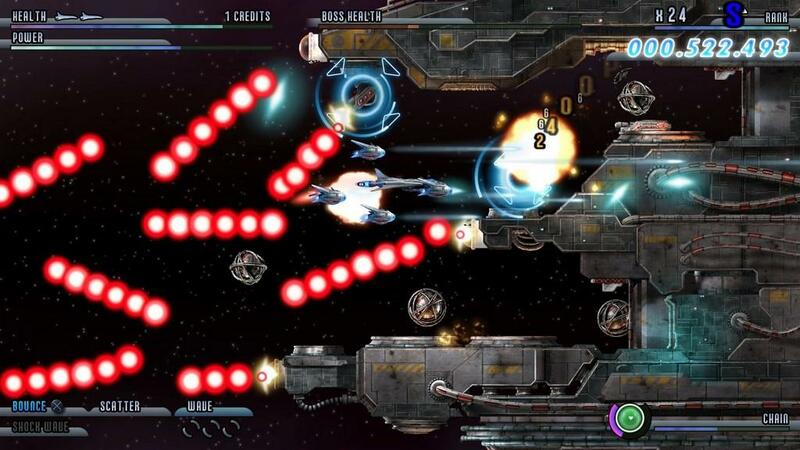 Each ship is equipped with several different weapons, which players can swap between at any time and upgrade throughout the course of the game. Beyond that, the object is to dodge every bullet and kill every bad guy. Soldner-X 2 is spread out across ten beautifully detailed levels, three of which are only available as downloadable content. 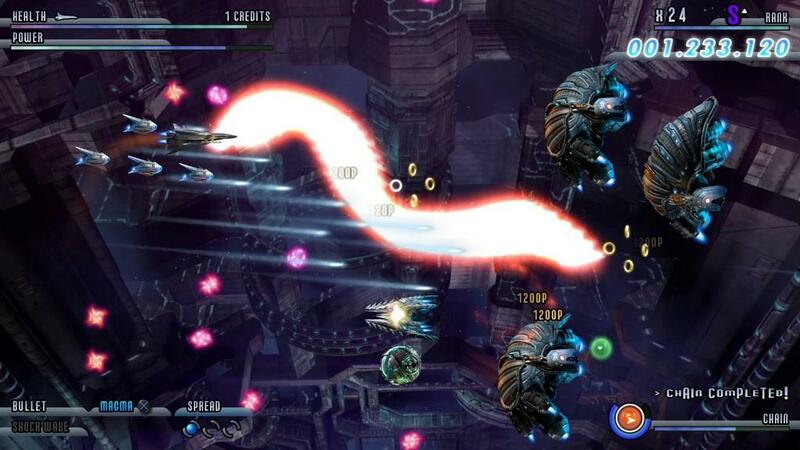 Players will see a lot of familiar shoot-em-up locations, including mountainous terrain, an ice cavern, industrial factories and even a giant battleship that takes up the entire stage. Every level plays out like a roller coaster ride full of sudden twists and turns. 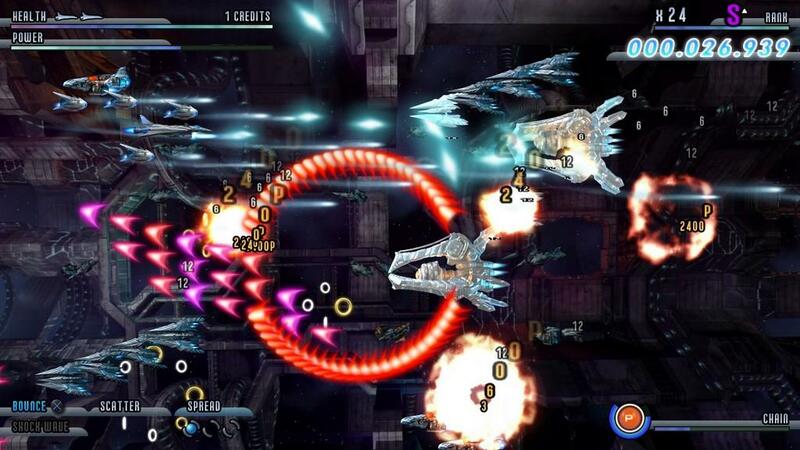 Although similar to other shooters, Soldner-X 2 does add a few interesting wrinkles to the genre. A lot of the excitement comes from trying to keep your combo chain going, something that is incredibly difficult when dodging bullets and picking up power-ups. All this influences your rank, which fluctuates throughout the course of the level. Improving your rank will not only lead to higher scores, but also pit players against tougher enemies. Like so many shooters, players will have no problem completing Soldner-X 2 in an hour. The game may be short, but it's not without replay. The emphasis on combo chains means that fans will spend most of their time trying to best their friend's high scores. There are also a number of keys hidden throughout each stage, which can be used to unlock three extra levels. The game's most interesting content sits in the Challenge mode. Here you'll find thirty different tasks that range from very simple to frustratingly difficult. 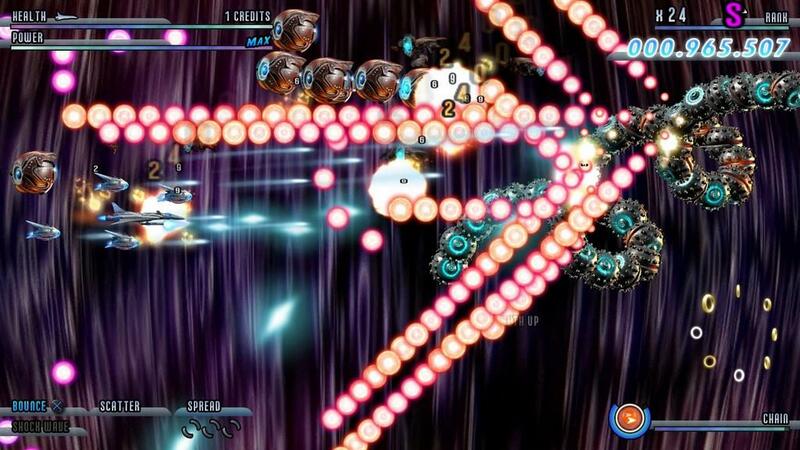 One of the earliest challenges sees players completing the first three stages without losing a life, while another wants the player to collect at least 999 chain rings in a specific stage. This is a fun idea that I wish more shooters would include as an option. Beyond the fast-paced action, I was most impressed by the game's sharp visuals. The backgrounds really pop on the PS Vita's small screen and it looks nearly identical to its console counterpart. Best of all, the levels race by at an unflinching 60 frames per second. Each location is bathed in detail and I couldn't wait to see what giant monster awaited me at the end of each stage. As an aside, I did find myself a little disappointed that the backgrounds aren't more closely connected to the action in the foreground. It often feels like each stage is being projected on a green screen and the player is simply along for the ride. Thankfully there's more than enough happening to keep your attention on dodging bullets and shooting down enemies, but the experience occasionally reminded me of one of those 3D rides at Universal Studios. Soldner-X 2: Final Prototype doesn't attempt to reinvent the shooter genre or turn it into a roguelike, it simply presents a fast-pace action game with great gameplay and gorgeous backgrounds. Some may balk at the short length, but there's more than enough replay to keep fans of the genre happy for at least a few days. While far from original, Soldner-X 2: Final Prototype is a great playing shoot-em-up with enough interesting ideas to stand out. Best of all, the gorgeous visuals zip by at 60 frames per second. 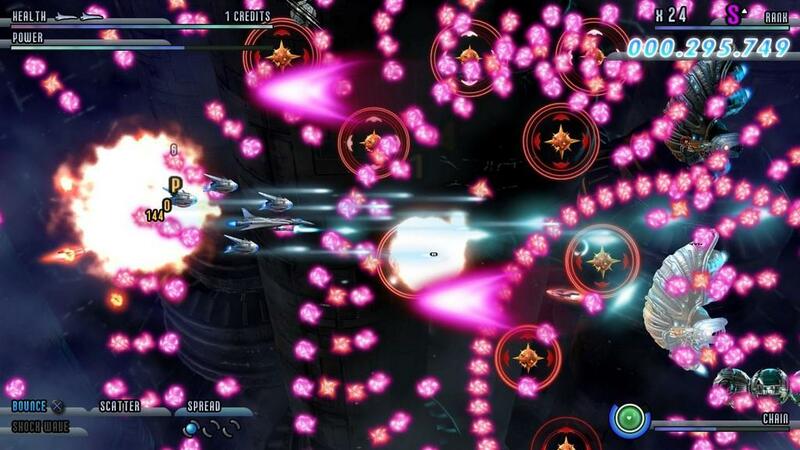 It may be short, but there's more than enough replay to keep this side-scrolling shooter exciting.